According to the partnership agreement, the venture will include a 1 hectare outdoor turf research facility and a fully equipped laboratory to develop natural sports turf solutions tailored for local and regional weather systems, which require specific technology and expertise. Together AZF and STRI will explore ways to improve the efficiency of natural turf surfaces and create optimal conditions in Qatar’s new stadiums and other sports facilities, even in harsh weather. 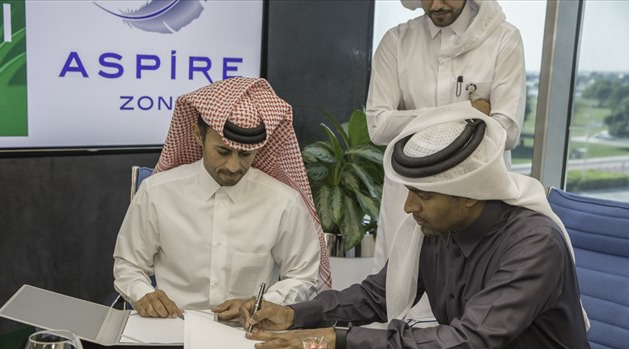 Commenting on the agreement, Mr. Mohammad Khalifa Al-Suwaidi, Acting CEO of Aspire Zone Foundation, said: “Guided by QNV 2030, and our mission to enhance sports performance, comes this step, which marks the latest expansion of Qatar’s booming sports industry, in order to support our ambition to make natural turf sustainable across the region. Qatar’s football industry will be the main beneficiary but we also expect golf, tennis and equestrian courses to benefit from our research and service offerings. “This alliance will help us develop Qatar and the region’s expertise in the design and management of natural turf, allowing AZF to benefit from STRI’s world leading skills in research and consulting expertise.” Al-Suwaidi added. AZF and STRI will provide training in the region to contractors, civil servants and any other relevant organizations and will not compete with local companies. As such, this alliance will hugely contribute to Qatar’s National Vision 2030 by investing in human capital. It will develop expertise and create opportunities for Qatar’s people, enhancing the efforts of the Foundation to develop competitive infrastructure and helping to deliver an amazing 2022 FIFA World Cup. 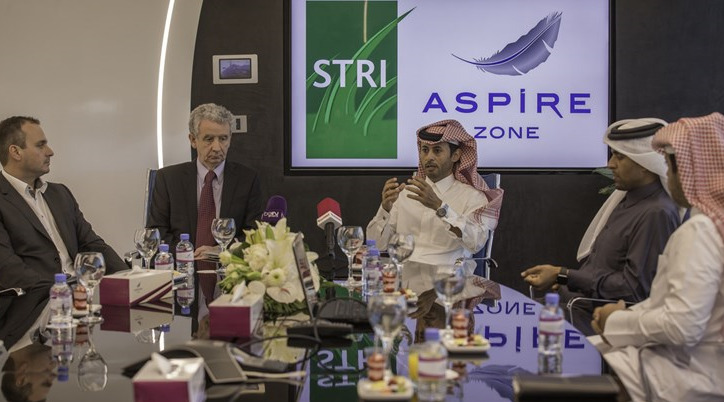 Driven by its vision to become the reference in sports excellence worldwide by 2020, Aspire Zone Foundation (AZF) has inked a partnership with the STRI Group to establish a Centre of Excellence for natural sports turf research and development, which will service Qatar’s sports facilities.